A pressure sore – often called a bed sore – is an injury to the skin caused by constant pressure. 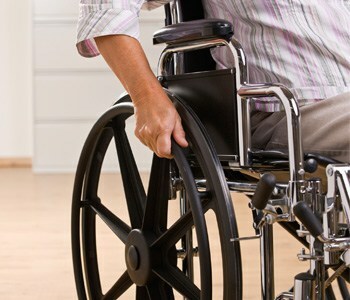 People who are confined to a bed or chair are most likely to experience this type of injury. When treating a pressure sore, you must take care not to injure it further by putting even more pressure on it. When you are in a bed, you should change positions every two hours, and even more frequently if you are in a wheelchair. Avoid slipping or sliding, as that can make the sore worse. Keep the sore clean and covered to prevent it from drying out. If you smoke, you should quit, as smoking reduces the blood supply to the skin and can slow healing.